There’s no type of extinct mammalian megafauna we like better than the giant beaver. Most specimens of the giant beaver, an extinct Pleistocene rodent found throughout North America that approached the size of a black bear, are considered Castoroides ohioensis. Now, scientists have proposed a new species of giant beaver, Castoroides dilophidus, based on skulls found in Florida. This new species lived during the Late Pleistocene and is limited, so far, to Florida and surrounding states. It is distinguished from C. ohioensis by several cranial characteristics as well as the presence of a divided lophid on two teeth, the lower fourth premolar and upper third molar (hence the species name dilophidus). An earlier named species, C. leiseyorum, thought to be restricted to the Early Pleistocene, is now also subsumed into C. dilophidus as a junior synonym. Some interesting issues regarding the collection and curation of fossils pop up. One of the skulls used to define the new species “is housed in a private collection, but a high fidelity cast is in the UF [University of Florida] collection. Furthermore, the owner of the original specimen has agreed to make it available for study to other workers.” (Hulbert et al. 2014:29). The owner is unnamed. They also discuss in detail casts of a giant beaver skull sold by the company Bone Clones that “likely reside in a number of museum collections” (Hulbert et al. 2014:38). This specimen, which the company labels C. ohioensis, also has characteristics of C. dilophidus. 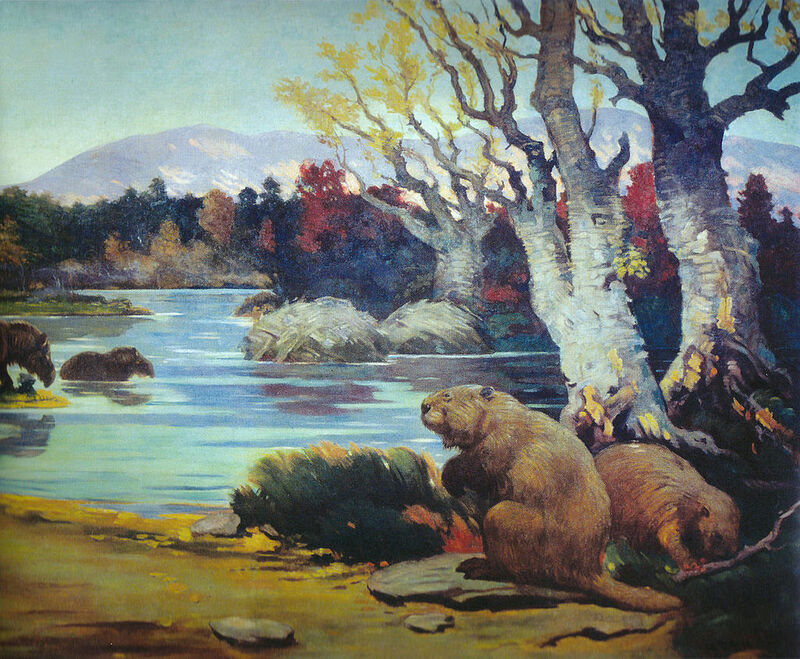 It appears that the original fossil has dilophidus traits, but when the fossil was restored, missing parts were reconstructed using ohioensis (and modern beaver) as references. Hulbert and colleagues were able to solve this puzzle by speaking with the original collector and the person who did the restoration, both of whom are unnamed, but the actual fossil “is now in a private collection and not available for study.” (Hulbert et al. 2014:38). The authors have tried to make the best of an awkward situation by documenting as thoroughly as possible these mystery fossils. 2014 Taxonomy of the Pleistocene Giant Beaver Castoroides (Rodentia: Castoridae) From the Southeastern United States. Bulletin of the Florida Museum of Natural History 53(2):26–43. is advertising a 2 year postdoctoral fellowship starting January 2015 within the Panama Canal Project (PCP), an NSF-funded project within the Partnerships for International Research and Education (PIRE) program. 1) conduct original field-based research on the ancient biodiversity, climates, and environments of Panama; 2) facilitate on-going field research of other project participants; and 3) supervise and mentor PCP-PIRE interns in Panama. Minimum requirements: PhD (geology, biology, or related discipline), experience conducting geology/paleontology field work, and some supervisory experience. The postdoc fellow will be required to spend considerable portions of this appointment in Panama. Some Spanish competency is preferred. This position is available to U.S. citizens and permanent residents and includes an annual stipend ($40,000), health insurance, housing when living in Panama, and related travel. PCP-PIRE is committed to diversity in education and encourages the application of women and underrepresented minorities. Applicants must submit a letter of interest, curriculum vitae, statement of proposed research, and contact information for 3 references to Aaron Wood (awood@flmnh.ufl.edu) by 15 November 2014. Also check out Fossils of Panama at the Florida Museum of Natural History. Artifacts from the early Spanish site in St. Augustine, Florida (associated with Pedro Menendez de Aviles, not Ponce de Leon) are being donated to the Florida Museum of Natural History at the University of Florida. U. Florida archaeologists have been excavating the site, and storing the artifacts, for many years, so it appears this will make the curatorial arrangement permanent, and perhaps provide a tax break for the owners of the site. Article in the Gainesville Sun.